Below are some of the most frequently asked questions by patients about vision problems, eyewear, and optometry services. If you have any other questions, or if you would like to schedule an appointment, please contact our office today. Q: What is optometry and what does an optometrist do? Optometry is the diagnosis and treatment of vision problems, including refractive errors and eye diseases. Although some changes in vision occur quickly, especially due to injury, many vision problems develop slowly over time and may go undetected without proper screening. An optometrist administers comprehensive eye examinations and prescribes treatments to correct for any vision errors. Treatments include prescriptive eyewear (eyeglasses and contacts), vision therapy, and other care. 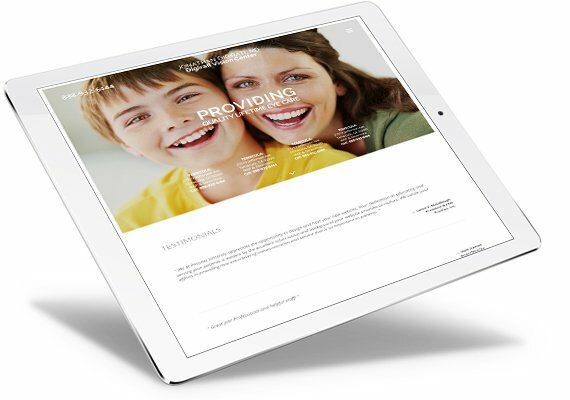 We encourage you to browse our website to learn more about optometry and to get helpful information to assist you in maintaining healthy eyes and good vision. If you have experienced a sudden change in your vision, seek medical assistance immediately, as this can be a sign of a serious problem. To schedule a routine eye examination, please contact our office today. Q: Can extended computer use hurt my eyes? If you spend more than two hours per day on the computer, you could suffer from eye strain or computer vision syndrome (CVS). It is estimated that more than 70 percent of U.S. workers who use a computer daily suffer from CVS. However, regular breaks from computer use can reduce your eye strain. Also, computer glasses can reduce the strain and improve the clarity of your computer screen. For more information on CVS and computer glasses, schedule an eye examination. Q: How can I avoid cataracts and glaucoma? Both glaucoma and cataracts are a natural part of the aging process. If left untreated, both can lead to vision loss. You may not be able to avoid the development of either of these serious eye conditions; however, if you continue with regular, comprehensive vision exams, your optometrist may be able to detect cataracts and glaucoma in their early stages. Early treatment and monitoring can reduce the risk of severe vision loss. Q: What's the difference between hyperopia, myopia, presbyopia, and astigmatism? Hyperopia, also referred to as farsightedness, is a refractive error that hinders the ability to focus on objects that are up close. Myopia, often called nearsightedness, is also a refractive error. Unlike hyperopia, myopia causes a problem seeing distant objects. 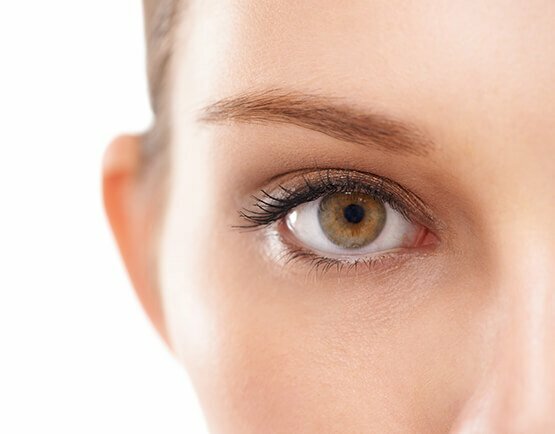 Astigmatism (sometimes mistakenly referred to as "a stigmatism,") is one of the most common eye problems. Also a refractive error, astigmatism is caused by an irregularly shaped cornea. Presbyopia is often confused with farsightedness because it causes a problem with up close vision. However, unlike myopia, hyperopia, and astigmatism, which are caused by the shape of the eye, presbyopia is an age-related vision problem caused by a loss of flexibility in the eye's lens. All of these eye conditions can be treated with corrective eyewear. Q: What causes eye pain? There are many possible causes of eye pain and discomfort. However, sudden eye pain can be the sign of a serious eye condition. If you notice a sudden pain in your eye, seek medical care immediately. If you are affected by mild discomfort or pain in your eye, schedule an appointment with your eye doctor for a comprehensive vision examination. Q: Is dry eye something I can fix with eye drops? If your eyes feel dry due to allergies or dry air, over-the-counter eye drops should help. However, if you are suffering from dry eye syndrome, which is a chronic condition, you should visit your eye doctor for treatment. In some cases, artificial tears (lubricating eye drops) may be prescribed, but there are also other treatments available based on the cause and severity of your symptoms. Q: How can I treat pink eye? It depends on the cause of your pink eye. If it is caused by bacteria, your eye doctor can prescribe antibiotic drops for your treatment. If a virus caused your pink eye, antibiotics will not help; you will just have to let the virus run its course. It could take a few days or possibly several weeks for pink eye to clear up. No matter what the cause of your pink eye, you can use warm compresses on the outside of your eyelids and lubricating eye drops to provide some relief while you are waiting for the pink eye to clear. Q: Should I get contacts or glasses? Most common vision problems can be corrected with either eyeglasses or contact lenses; however, there are some situations that may restrict contact lens use. One of the greatest hindrances to using contact lenses is squeamishness with placing a lens into the eye. If you are trying to decide between contacts or glasses, speak with your optometrist about which would be best for you. Q: What are transition lenses? Transition lenses, or photochromic lenses, are eyeglass lenses that darken automatically when exposed to sunlight. These glasses allow users to wear one pair of glasses for both indoor and outdoor use. Q: What are progressive lenses? Progressive lenses are eyeglass lenses that contain various focal powers similar to bifocals and trifocals. However, unlike the other multi-focal lenses that have lines separating the different corrective prescriptions, progressive lenses gradually change from one proscription to another. This allows for a more natural visual experience. Q: Are non-prescriptive colored contacts safe? If used properly, non-prescriptive colored contact lenses can be safe. However, even without a vision-correction component, these lenses have been designated as medical devices, which means you need a prescription from an optometrist to purchase these lenses. If used improperly or not fitted by an eye doctor, there is chance that these lenses could cause damage to eyes, including blindness. If you are considering colored-contact lenses, contact your optometrist for an exam and proper fitting. Q: What is the difference between an optometrist and an ophthalmologist? Optometrists and ophthalmologists are both eye doctors, but they have differing levels of schooling, which allows ophthalmologists to offer additional services. An optometrist is a Doctor of Optometry (O.D.) and an ophthalmologist is a Doctor of Medicine (M.D.) specializing in eye care. Q: I have good vision. Do I still need to get my eyes checked? Yes. Eye examinations check your vision, but they also screen for eye diseases and other problems. It is recommended that you have an eye examination every one to three years, depending on your age and if you currently have prescriptive eyewear. Q: Do vision exercises work? Will I no longer need my corrective lenses? Medically supervised vision therapy can be helpful to help improve vision problems caused by brain injury or other neurological disorders and focusing problems caused by convergence insufficiency. However, in most cases, eye exercises cannot correct your vision to reduce your need for corrective eyewear, especially eyewear used to correct refractive errors.